Samsung India launched its latest smartphone Samsung Galaxy C7 Pro on April 07, 2017, which will be sold exclusively on Amazon India from 11th April, 2017. Galaxy C7 Pro demonstrates Samsung’s consumer centric focus and its ability to bring valuable and meaningful experiences to consumers. The device packs in powerful features in a premium slim design, making it an extremely powerful smartphone in its category. “At Samsung, we are committed to meaningful innovations that delight our consumers. Galaxy C7 Pro is a slim and stunning device, which comes packed with powerful features for unparalleled multitasking and multimedia experience making it a Lean and Mean machine for the millennials,” said Mr. Sandeep Singh Arora, Vice President, Online Business, Samsung India. 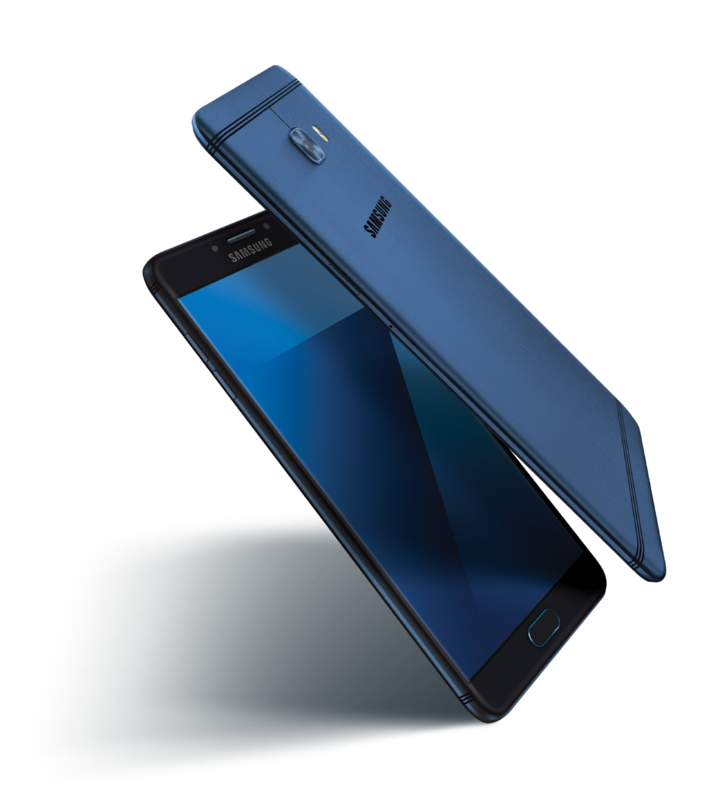 “We are pleased to be the partner of choice for Samsung and offer our customers a chance to own the exclusive access to Galaxy C7 Pro. Smartphones are one of the fastest growing product lines and have repeatedly been one of the top selling categories on Amazon.in,” said Mr. Arun Srinivasan, Director, Consumer Electronics (Category Management), Amazon India. At 7mm, the slim Galaxy C7 Pro gives the consumer a comfortable grip. The device is crafted with a full metal unibody and a 2.5D Gorilla Glass that make it very durable. Galaxy C7 Pro also sports a 5.7” FHD Super AMOLED display that provides an immersive and enriching viewing experience. To enable consumers to do more, Galaxy C7 Pro comes equipped with a powerful 2.2 GHz octa-core processor and 4GB RAM. This ensures that the smartphone handles any task with ease, for a faster and smoother multi-tasking experience. Galaxy C7 Pro has an inbuilt memory of 64GB which is expandable to 256GB, so consumers have enough space to store their favourite pictures, movies or songs. Galaxy C7 Pro has a powerful 3,300mAh battery, with fast charging capabilities to charge the phone completely in just 100 min. Galaxy C7 Pro features a 16MP rear camera as well as a 16MP front camera both with an f1.9 aperture lens for taking great pictures even in low light conditions. The rear camera comes equipped with Phase Detection Auto-Focus and Dual LED flash features, which allow users to capture clear and bright photographs. The front camera offers an upgraded selfie experience with its pre-installed beautifying effects. The floating camera button in Galaxy C7 Pro enables users to take the best shots at ease with single hand. Galaxy C7 Pro will be available in two colour options - Navy Blue and Gold. The device will be priced at INR 27,990 and will retail exclusively on Amazon.in from April 11, 2017. Samsung Electronics Co., Ltd. inspires the world and shapes the future with transformative ideas and technologies. The company is redefining the worlds of TVs, smartphones, wearable devices, tablets, cameras, digital appliances, medical equipment, network systems, and semiconductor and LED solutions. For the latest news, please visit the Samsung Newsroom athttp://news.samsung.com/in.